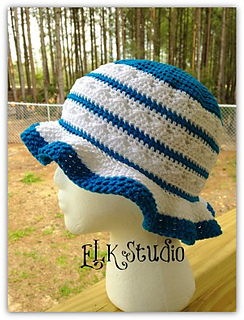 It was such an honor when Tracy from Crochet for Cancer asked me to design a hat for chemo patients. 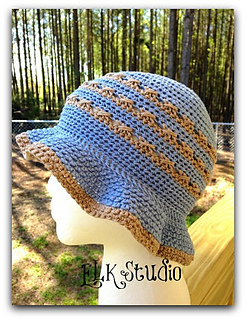 I wanted this hat to be lightweight, cool and most importantly…..elegant. I love making my summer hats and since this one is the first for the year, I decided it would be appropriate to call it Southern Comfort to follow suit for my other Southern hats with the difference being this hat is free! 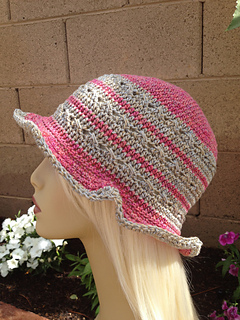 I’ve also designed the brim with a special stitching so that it is stronger and won’t flop down in your face. 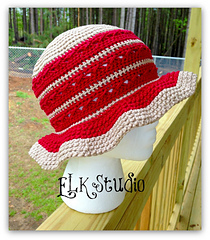 I hope that you will consider making this hat as a donation for the cause. Please contact me for more information if you’re interested.